Available unframed or framed in a green frame! Frames are ready to hang and are made from coloured polcore with high clarity styrene shatterproof perspex instead of glass. 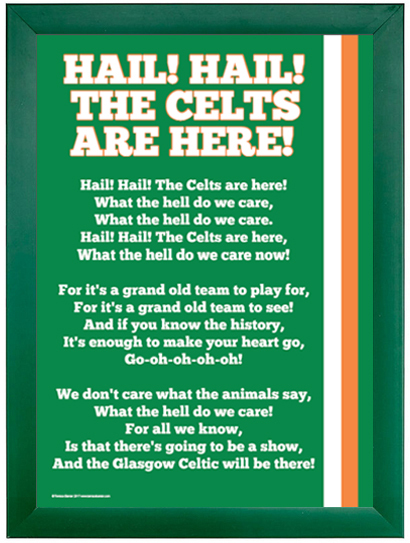 Fantastic gift for any Celtic fan! © Copyright Terrace Banter 2017. All rights reserved.